So whilst I sat at the cinema with the children last month I could hardly contain my excitement when I saw the trailer for the new Christopher Robin trailer. Those characters that I’d so much about throughout my childhood and to my own children, came alive on the screen in front of me. Needless to say, I am counting down the days until the release. Personally, Piglet has always been my favourite character in the stories growing up. There is something about his vulnerable side that makes you want to pick him up, snuggle and tell him everything is going to be OK. Over the years I gained quite a collection of Piglet Plushes but struggled to find a Winnie The Pooh to keep him company whilst I wasn’t there. With the new Christopher Robin film about to head into cinemas on August 17th, Posh Paws has released a collection of plushes in 7″, 10″ and 20″ versions. With Winnie The Pooh, Piglet, Eeyore and Tigger plushes all available. 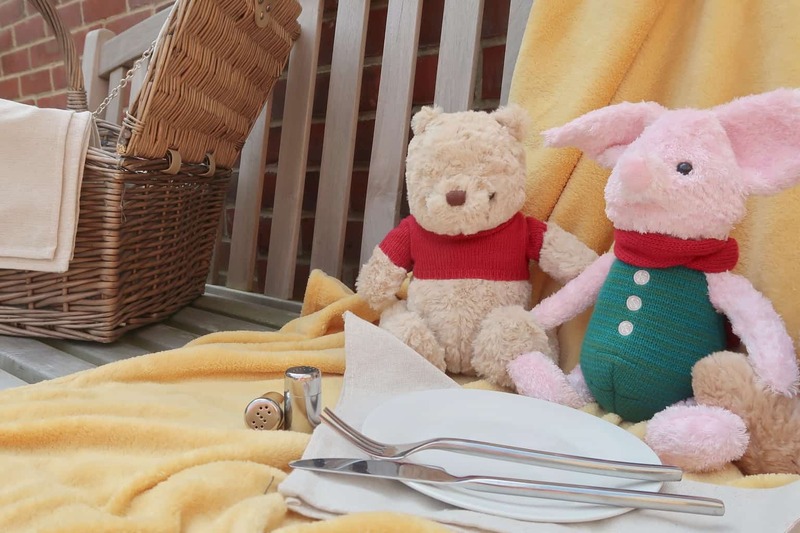 Posh Paws recently sent us a Winnie The Pooh and Piglet plush to enjoy on our summer adventures. 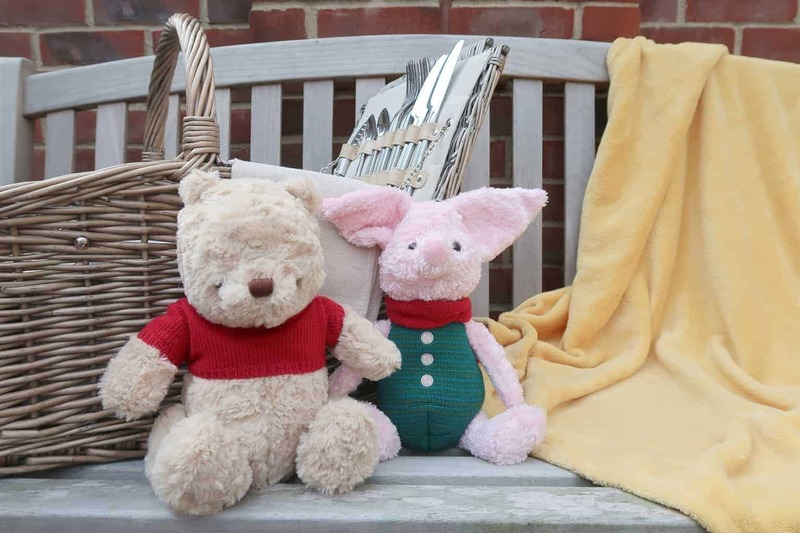 Whilst the children were thrilled to see them, I looked at the two of them sitting together and thought, ‘finally, Piglet has a Pooh bear to keep him company‘. Purchasing one of the Christopher Robin inspired plushes isn’t just about buying a soft toy to place up on the shelf and glance at every now and again. They are made to be loved, to snuggled, to be taken on adventures – just like Christopher Robin did in the classic stories. With the summer just around the corner, I’m eager to encourage the children to take the lead. Let them tell me where we should head out for the day. Whether it’s for a woodland walk, to the park or further afield. All whilst bring along their favourite character so that we can enjoy teddy bear picnics wherever we may be. Snuggle up to them in the car after a long day of exploring the world around them or simply a friend to hold hands with when they are in need. Where can you buy the Christopher Robin plush toys?